I’m VERY late posting this, please forgive me. Life has been very hectic, and I’ve been very forgetful. 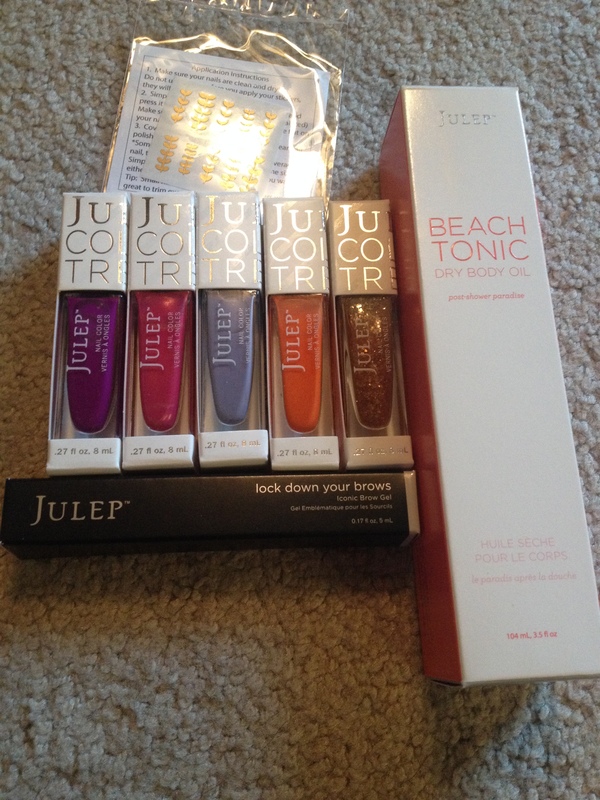 It wasn’t until the September Julep Maven box showed up today that I realized I forgot to post this! I’ve been pretty good about not giving in to the wonderful mystery boxes the Julep offers…But this time I couldn’t resist. Not sure why, but I just couldn’t. This box came with 4 polishes (5 because I ordered an extra polish, Alexa, it’s the light purple one.) Lock down your brows and the Beach Tonic dry body oil and nail decals. The colors that came in the box: Connie, Jenny (Favorite!!) Mariska, and Trisha. I have not even opened the Lock down your brows, but I hear it’s good to help keep them in place or help them grow–both problems I don’t experience yet in life. The Body Oil, is a great item, but malfunctions easily. 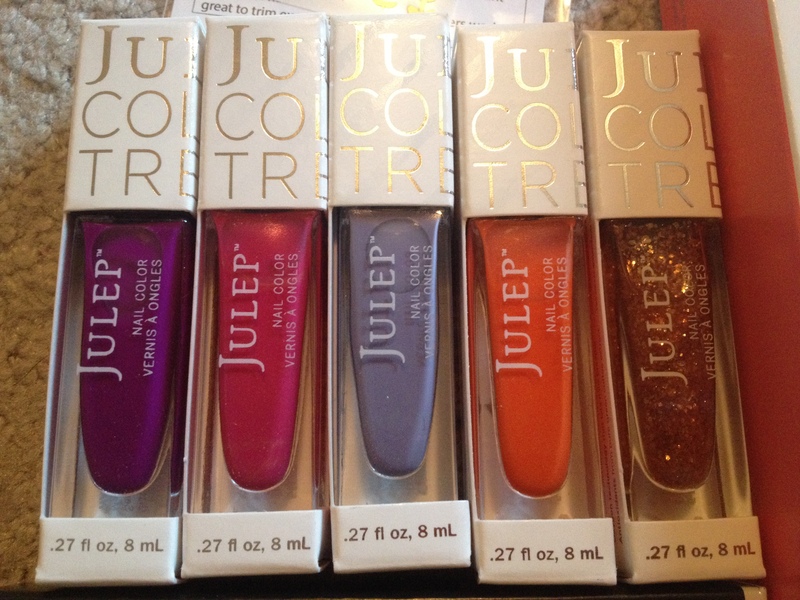 I e-mailed Julep and a replacement is on it’s way— but reviews say that ALL their bottles have issues with the sprayer. The box costs just $24.99 (plus tax) which is a steal of a deal if you ask me!